Mbaka, who arrived in a BMW car, was accompanied by a lady. “So let the will of God be done in Nigeria. 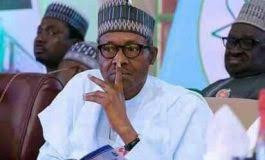 It is like what I have been saying Buhari change or you will be changed," he had said while addressing members of his Adoration Ministry.